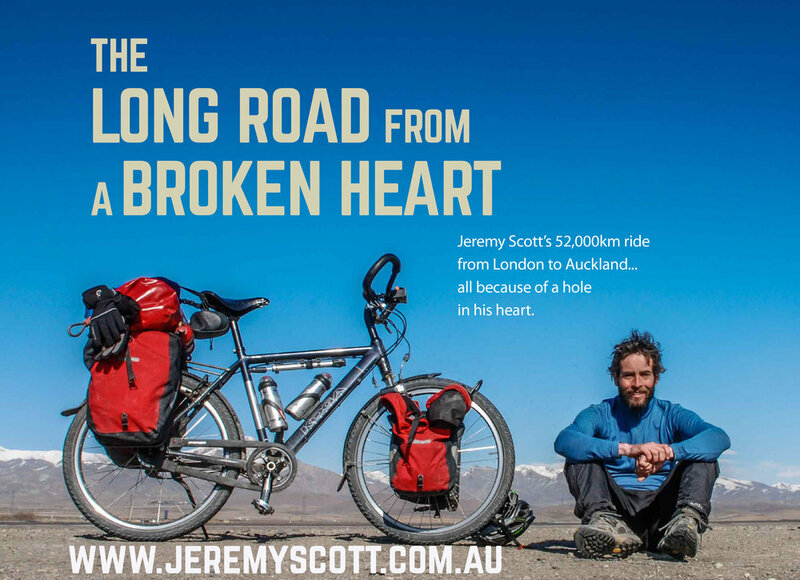 On the 5th October 2011, Jeremy began a challenge of a life time, a 2 ½ year, 51,916km solo bicycle ride from London to New Zealand. As he pedalled his way around the planet, Jeremy covered more than enough distance to circumnavigate the earth. This phenomenal journey was made possible thanks to the open-heart surgery which saved his life as a child. Jeremy’s is a recipient of the Australian Heart Foundation ‘Heart Hero Award’ and is an Ambassador for Waterline Challenge. To date, he has raised over £40,000 for the British, Australian and New Zealand Heart Foundations. This incredible story highlights what anyone can achieve in life, if they are willing to take that first step. Book your ticket using the “BOOK NOW” button below. Tickets are available in advance only. **If you haven't joined EC CLUB yet, then this is a great time to do so, it’s only £40 per year to access local events only open to CLUB members – as well as discounts on other local events, our weekend events and loads of other adventure related discounts.